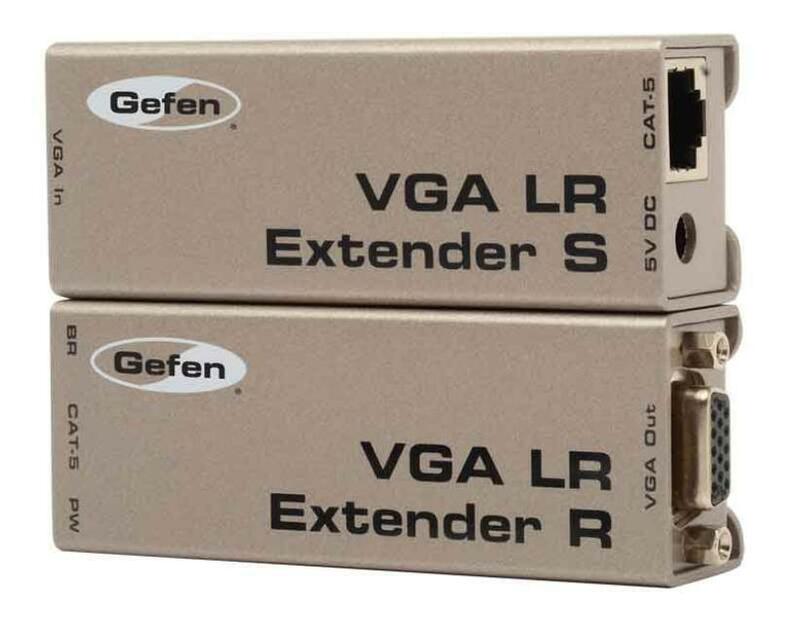 Vga extender reaching for vga or component with range of 100 meters by a single cat- 5e cable. Supports resolutions up to 1080p and 1920 x 1200. It also includes compensating independent of "skew " for r , g , b.